I grew up in Alabama in the fifties and sixties and saw segregation and racial prejudice first hand. Interestingly because of our Alabama context, my Mother told me that she admired Dr. King because he stood up for, as she put it, “his people.” In retrospect, he was standing up for all of us, though sometimes I wonder if the African-American community understands that. 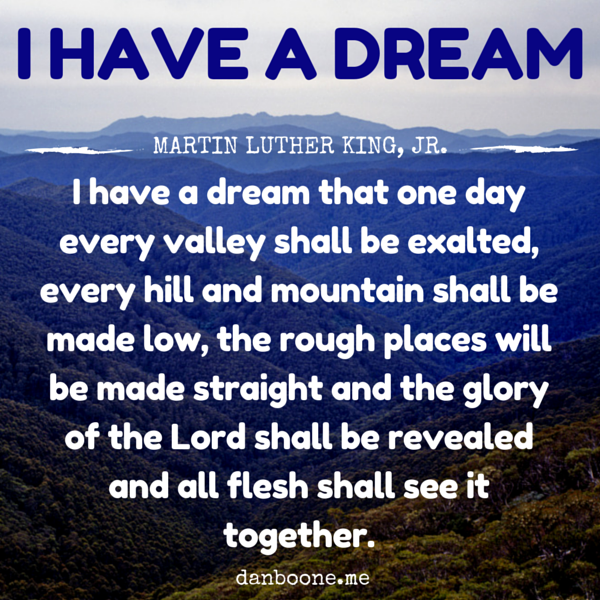 While I agree that he was a great leader in the crusade to end racial prejudice, a matter of social holiness, I regret that on the night he was murdered, he was in a hotel room with a woman other than his wife. I do not believe he was a good example of personal holiness, but heroic in the social justice movement.